I am writing to inform you about why i haven't updates. the reason being is that i am so focused on our new site ShaneFilan.info and im finding it very hard to update both site. so i will no longer be updating this site. i am so upset to announce this and i have spent the last 3 years making this site what it is today. i would like to thank everyone who ever visited the site or help me along the way. 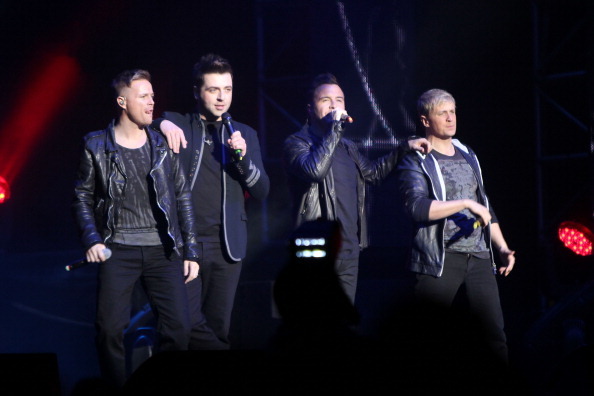 Westlife mean everything to me and i know they do to you to. i hope everyone who is going to the farewell tour has a amazing time an think about the go memories and not the split. Westlife star, Kian Egan (31), revealed that wife, Jodi Albert (28), has no plans to remain a stay-at-home mum to their baby son, Koa. Instead Jodi is in the process of signing up with a top agent and is itching to get back to work just weeks after giving birth. He revealed the couple were thrilled to hear in recent weeks that she’s succeeded in getting signed to a top agency. “I was delighted for her and we probably got over excited about it but it’s a big agency and they’ll be looking out for opportunities for her in TV and acting, that sort of thing,’’ he said. Koa, who weighed in at a bouncing 8 pounds and 2 ounces, arrived two weeks early after a due date of January 1. Keen surfing couple Kian and Jodi revealed that the couple had come across the unusual name in a baby-name list ‘and liked it’ and it’s association with Hawaii’s great surfing. Kian and Jodi were gutted last September when their girlband Wonderland was dramatically dropped by their record company, Mercury. The news came just three months after the launch of their debut album. Sailors for this year’s Mitsubishi Youth Sailing National Championships in April not only get the chance to win a place on the Irish team for the Dublin Bay Youth Worlds in July but now ‘Early Bird’ entries get a chance to sing along with pop group Westlife this summer too. Enter the Dun Laoghaire event by March 16th and your name is in the hat for the Croke Park gig on June 22nd as Royal St. George organisers have two tickets to give away. Enter online here.